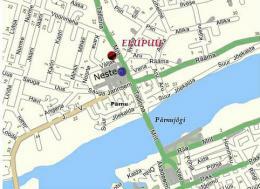 Elupuu Appartments is located 10 mins from Parnu city center by walking and 20 mins from Parnu beach. Near by we have shopping center, minibank, cafe`s and restaurants and playground for children. Car park is available for guest arriving with cars.